Wyoming is the 10th most extensive, but the least populous and the second least densely populated of the 50 United States. The western two thirds of the state is covered mostly with the mountain ranges and rangelands in the foothills of the eastern Rocky Mountains, while the eastern third of the state is high elevation prairie known as the High Plains. Cheyenne is the capital and the most populous city in Wyoming, with a population estimate of 62,448 in 2013. As specified in the designating legislation for the Territory of Wyoming, Wyomings borders are lines of latitude, 41°N and 45°N, and longitude, 104°3W and 111°3W (27° W and 34° W of the Washington Meridian), making the shape of the state a latitude-longitude quadrangle. Wyoming is one of only three states (along with Colorado and Utah) to have borders along only straight latitudinal and longitudinal lines, rather than being defined by natural landmarks. Due to surveying inaccuracies during the 19th century, Wyomings legal border deviates from the true latitude and longitude lines by up to half of a mile (0.8 km) in some spots, especially in the mountainous region along the 45th parallel. Wyoming is bordered on the north by Montana, on the east by South Dakota and Nebraska, on the south by Colorado, on the southwest by Utah, and on the west by Idaho. It is the tenth largest state in the United States in total area, containing 97,814 square miles (253,340 km2) and is made up of 23 counties. From the north border to the south border it is 276 miles (444 km); and from the east to the west border is 365 miles (587 km) at its south end and 342 miles (550 km) at the north end. 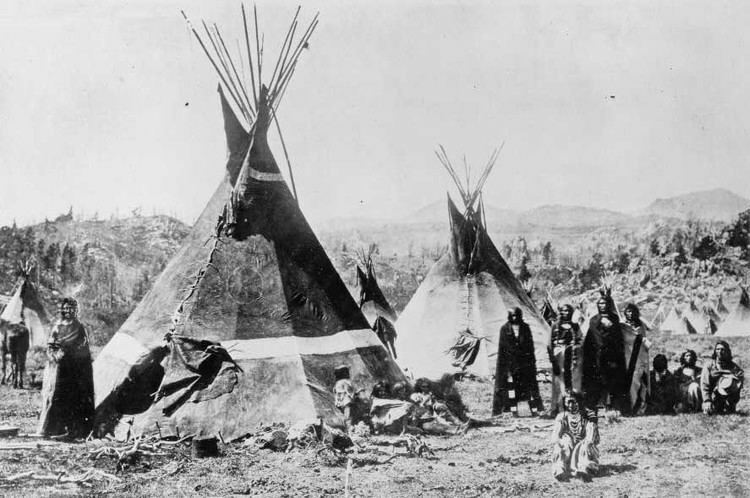 Several Native American groups originally inhabited the region now known as Wyoming. The Crow, Arapaho, Lakota, and Shoshone were but a few of the original inhabitants encountered when white explorers first entered the region. What is now southwestern Wyoming became a part of the Spanish Empire and later Mexican territory of Alta California, until it was ceded to the United States in 1848 at the end of the Mexican-American War. French-Canadian trappers from Québec and Montréal went into the state in the late 18th century, leaving French toponyms such as Téton, La Ramie, etc. John Colter, a member of the Lewis and Clark Expedition, itself guided by French Canadian Toussaint Charbonneau and his young Shoshone wife, Sacagawea, first described the region in 1807. At the time, his reports of the Yellowstone area were considered to be fictional. Robert Stuart and a party of five men returning from Astoria discovered South Pass in 1812. The Oregon Trail later followed that route. In 1850, Jim Bridger located what is now known as Bridger Pass, which the Union Pacific Railroad used in 1868—as did Interstate 80, in ninety years time. Bridger also explored Yellowstone and filed reports on the region that, like those of Colter, were largely regarded as tall tales at the time. The region had acquired the name Wyoming by 1865, when Representative J. M. Ashley of Ohio introduced a bill to Congress to provide a "temporary government for the territory of Wyoming". The territory was named after the Wyoming Valley in Pennsylvania, made famous by the 1809 poem Gertrude of Wyoming by Thomas Campbell. The name ultimately derives from the Munsee word xwé:wam?nk, meaning "at the big river flat." After the Union Pacific Railroad had reached the town of Cheyenne in 1867, the regions population began to grow steadily, and the federal government established the Wyoming Territory on July 25, 1868. Unlike mineral-rich Colorado, Wyoming lacked significant deposits of gold and silver, as well as Colorados subsequent population boom. However, South Pass City did experience a short-lived boom after the Carissa Mine began producing gold in 1867. Furthermore, copper was mined in some areas between the Sierra Madre Mountains and the Snowy Range near Grand Encampment. Once government-sponsored expeditions to the Yellowstone country began, reports by Colter and Bridger, previously believed to be apocryphal, were found to be true. This led to the creation of Yellowstone National Park, which became the worlds first national park in 1872. Nearly all of Yellowstone National Park lies within the far northwestern borders of Wyoming. On December 10, 1869, territorial Governor John Allen Campbell extended the right to vote to women, making Wyoming the first territory and then U.S. state to grant suffrage to women. In addition, Wyoming was also a pioneer in welcoming women into politics. Women first served on juries in Wyoming (Laramie in 1870); Wyoming had the first female court bailiff (Mary Atkinson, Laramie, in 1870); and the first female justice of the peace in the country (Esther Hobart Morris, South Pass City, in 1870). Also, in 1924, Wyoming became the first state to elect a female governor, Nellie Tayloe Ross, who took office in January 1925. (In fact, Wyoming and Texas both elected female governors at the same time, but Wyomings took office sixteen days before Texass.) Due to its civil-rights history, Wyomings state nickname is "The Equality State", and the official state motto is "Equal Rights". Wyomings constitution included womens suffrage and a pioneering article on water rights. The United States admitted Wyoming into the Union as the 44th state on July 10, 1890. 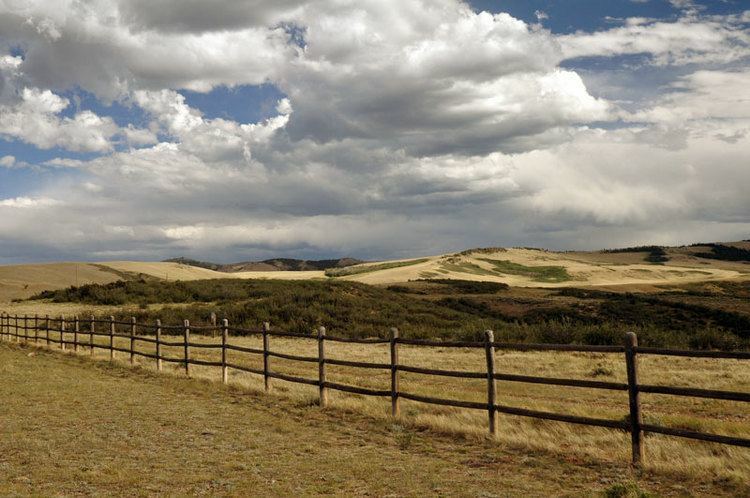 Wyoming was the location of the Johnson County War of 1892, on which the controversial 1980 film Heavens Gate was based, which erupted between competing groups of cattle ranchers. The passage of the federal Homestead Act led to an influx of small ranchers. A range war broke out when either or both of the groups chose violent conflict over commercial competition in the use of the public land. According to the 2012 U.S. Bureau of Economic Analysis report, Wyomings gross state product was $38.4 billion.